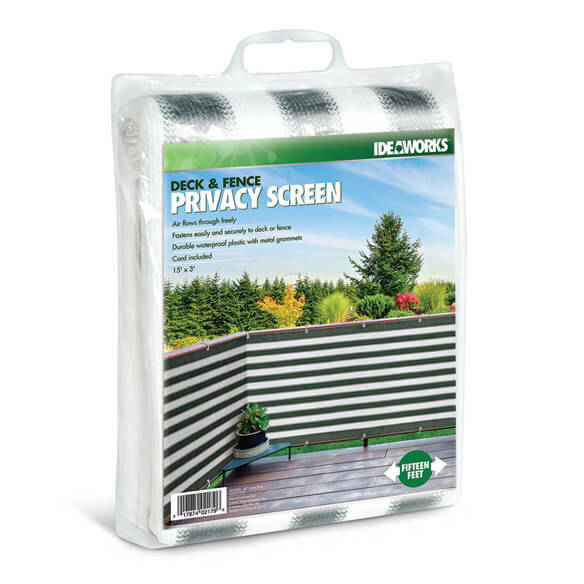 Offering instant privacy for patio, balcony or deck, this stylish striped deck & fence privacy screen blocks revealing views—so you can relax outdoors without awkward exposure to neighbors, the street or the sidewalk. 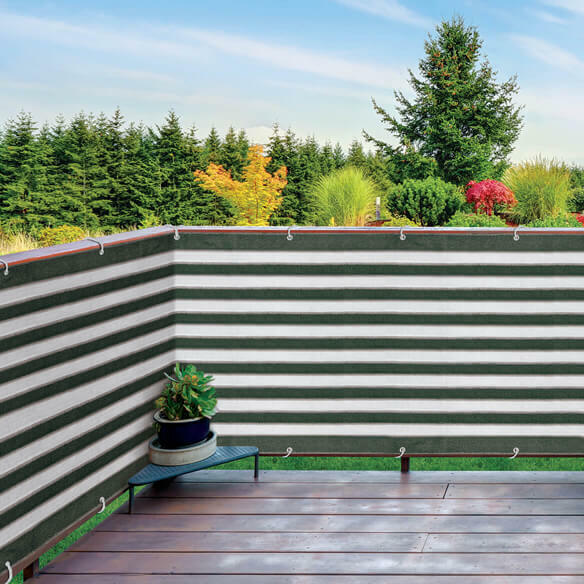 The breathable woven fence covering secures easily to fence or deck with included cord, or weaves between deck posts or railings, and can be placed strategically to create custom privacy without impeding light or airflow. 15'L x 3'W fence screening. Waterproof polyester netting with reinforced seams and metal grommets. This made a great privacy fence for my above ground pool. love this products will purchase this again. used this product just in time for guess. BEST ANSWER: Thank you for your question. Unfortunately no, we do not anticipate receiving more stock and offering this item again in the future. We hope this information will be of help to you.